At West Roseville Veterinary Hospital, we are dedicated to providing the highest quality of veterinary care for our patients, and to maintaining a professional environment that is characterized by compassion, trust, and respect for our clients and team members. We also recognize the importance of teamwork and staff education in maintaining these core values. Full service veterinary hospital serving the greater Roseville area. Our care focuses on companion animals, primarily dogs and cats. We offer preventative medicine as well as diagnostics such as in house laboratory and digital radiographs. We also work closely with several area specialists to allow for advanced imaging or surgery within our hospital. West Roseville Veterinary Hospital was established in 1995 as a local family owned small animal practice. We moved from our original location on Baseline in Old Roseville to a larger facility on Galilee Road in 2007 in order to accommodate a growing clientele. West Roseville Pet Resort was also established in order to add grooming and boarding to the list of services offered. In 2014 the two businesses separated in anticipation of a change in ownership. In 2016 Dr Jennifer White officially took ownership of the practice. She hopes to maintain the family atmosphere while providing the best veterinary care possible. 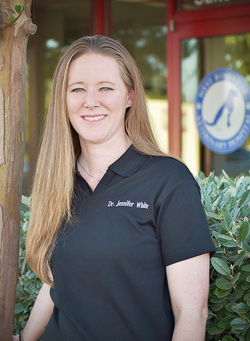 Dr Jennifer White graduated from UC Davis School of Veterinary Medicine in 2009. Dr White completed her undergraduate work at the University of California at Berkeley, where she studied Molecular and Cellular Biology. After receiving her Bachelors degree she spent 4 years working as a veterinary assistant/technician where her love of veterinary medicine grew. Upon completion of her DVM degree she joined Marketplace Veterinary Hospital in El Dorado Hills as an associate veterinarian. She also worked at Johnson Ranch Veterinary Hospital and West Roseville Veterinary Hospital before finally accepting a full time position here in 2011. After six years as an associate, Dr White purchased the hospital with the hope of continuing to grow as a veterinarian and business and improve the lives of the pets in the Roseville, Lincoln, Rocklin and surrounding areas. 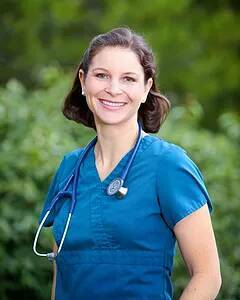 Her main interests are preventative medicine and dentistry as well as senior pet care and managing chronic diseases. Outside of the hospital, Dr White spends her time with her husband Mike and 2 beautiful girls, born in 2012 and 2015. Dr. Williams completed her undergraduate studies at Cal Poly San Luis Obispo with a BS in Animal Science. She was accepted into and completed her veterinary medical degree from Western University of Health Sciences School of Veterinary Medicine. Dr. Williams immediately began to practice veterinary medicine at an emergency hospital in the Bay Area where she gained a vast amount of experience of veterinary emergency medicine. When job opportunities became available she transitioned to Placer County working general practice and emergency. Her professional interest include emergency, internal medicine and ophthalmology. Outside of veterinary medicine Dr. Williams is kept busy raising her two sons with her high school sweetheart. She enjoys skiing, running, and yoga. After graduating from Western Career College in 2010 Brie worked as an RVT at LBVC before joining WRVH in February of 2013 as the Lead RVT. 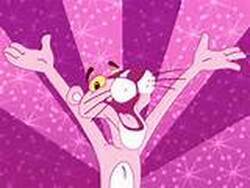 She has since worked her way up to Assistant Manager with hopes of pursuing her Veterinary Management certification. Brie has a passion for Dentistry and Emergency Medicine and helping West Roseville Veterinary Hospital succeed. Outside of work Brie loves spending time with her family and being outdoors, riding horses or hiking. 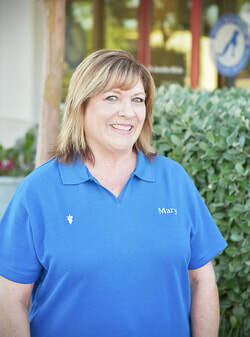 Mary has been a part of the West Roseville team the longest, almost 10 years! She is a familiar and welcoming face to many long time clients. Mary loves being outside and her favorite activities include gardening, hiking, watching a good soccer game and spending time with her family, adorable dog, and new kitten addition. Tena joined us in 2017. Tena graduated from the Animal Health Technician Program at WCC in 1994. Sunce then she has developed a special interest in dentistry and preventative care. Tena has also recently acquired two years of emergency and critical care experience. When she is not working Tena enjoys reading, camping and kayaking. Tena has 2 adult children and shares her home with 4 dogs, 2 cats, 2 chinchillas and a dove! Tena is a loyal Dogers fan and a 49er faithful. Hillary started with us in January of 2017. She recently acquired her RVT license and looks forward to growing and learning with the practice. Simon came to us in September of 2015 after having run away from home and being lost for about a month. He was covered in fleas and very sick. After many days and a long weekend of nursing care Simon is fully recovered and feisty as ever! He enjoys treats, chasing feet and making friends with the cats in the hospital. You might just catch him taking a cat nap when you come visit us!